A water softener system is one that helps in removing harmful and other effluents that destroy the purity of water. Some of the harmful effluents present in the water like calcium, magnesium, and other metal cations are dangerous for human life as well as aquatic life. Hard water is the main reason for which such systems are used. The water from industries is discharged into the water bodies without even treating them in a proper manner. This could be dangerous for the living beings and will definitely disturb the life cycle. Disturbance of the life cycle can cause a big loss to the living organisms. 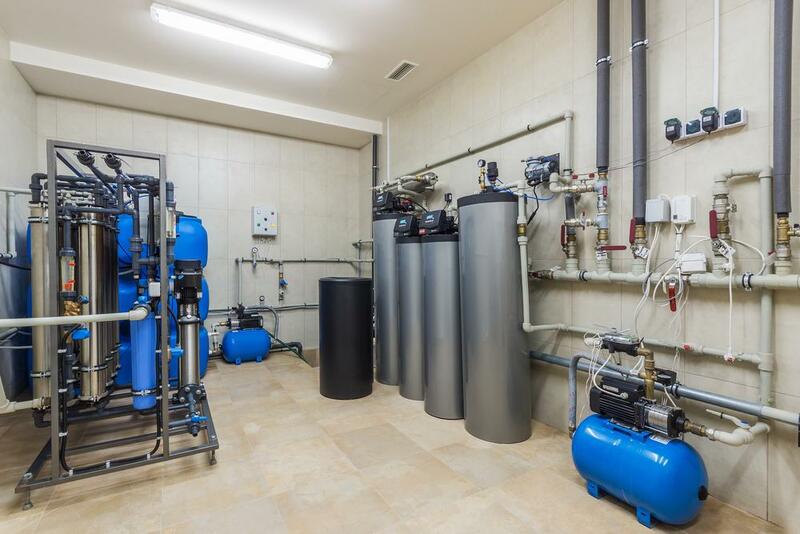 Therefore, a water softener system is being used by the industries and other establishments for the purpose of removing harmful chemicals and effluents from hard water. -A water softener system helps remove harmful elements from the water and helps us get water that is in its purest form. The quality of water provided by it is definitely the best and is filled with minerals that are good for our bodies. -The water treated by such systems also when used while bathing provides us with clear skin and healthy hair. Soft water makes the hair soft. -The water passed through such systems are well efficient and they help in cleaning floors more efficiently. Not much effort is needed while doing the same. -As the water treated with water softener system is better in every respect, the amount of soap or shampoo that we need to gather foam is much lesser in quantity. It mixes with the water and provides better quality lather. -Soft water helps in removing the dirt from the clothes easier. It helps clean the clothes well by removing the stains efficiently. Soaps do not function well when used with hard water. This is because the cleaning agents in the soap react with the elements present in the hard water instead of performing their cleaning action. -The water softener systems if used can be connected to machines like the coffee machine in the cafeteria or the office, this helps the machines to last longer. It stops the degradation of such machines faster and makes them work easily. This is because hard water results in deposits being accumulated in pipes and in systems such as heaters. These deposits reduce the efficiency of the pipes and heaters leading to further losses. -The water when treated by such systems needs no filter and can be directly used by the consumer. It saves electricity benefiting the society and also the customer. The customers get benefited as they have to pay a lesser amount of electricity bills for the power consumed at their places where such water softener system operates. -There are other benefits that can be understood by a user of such systems. The person using it definitely knows its worth and is ready to spend on it once rather than spending on the things that can get affected because of hard water. The conclusion derived here is that the system of water softening is an important filtering system and it must be used before discharging the effluents in water bodies or before a person uses it for domestic purpose. You may pay a steep price for the system but the benefits derived will be for a longer period of time. To know its worth, customers can also read online reviews or conduct surveys that will help them get a complete idea about the usage, advantages and other benefits. It might be expensive but it will always be a worthy purchase and every single penny spent on it will be worth the spend. The usage and advantages show how important this product can be and how easy it is to get pure water in day to day life.